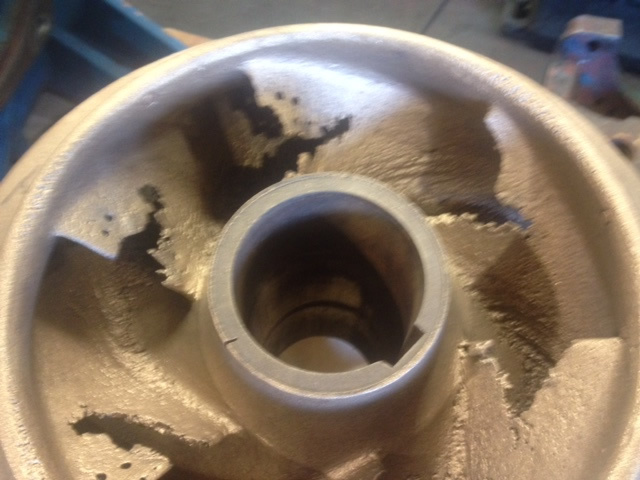 Alan, the manager of a local company required a hard, wear resisting coating on the internal surface of this pump casing due to the aggressive nature of the product being used by his customer. With previous research and development carried out by IRS on similar abrasives, a hard facing developed at IRS was applied and tested. Result !!! Hard facing can be applied by different processes, various degrees of hardness and chemistries and be ﬁt for purpose. Contact our Technical Team for advice!! 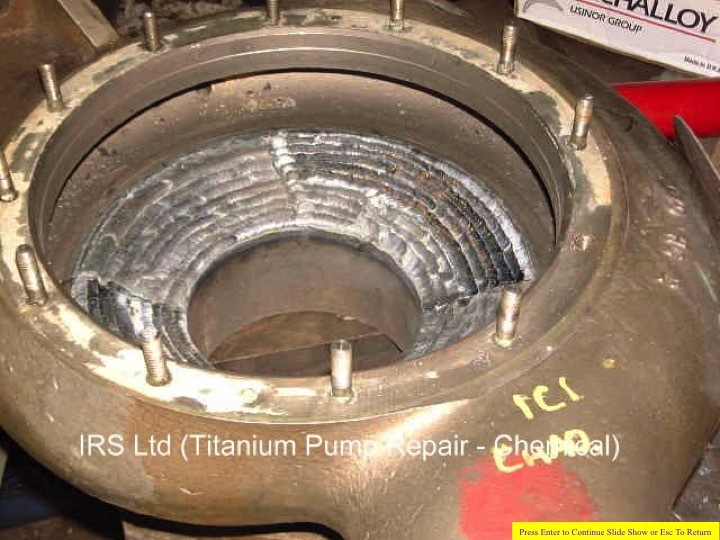 IRS has the philosophy “to help and assist whatever the problem and wherever possible” and many projects are quite challenging as can be seen from pictures of the impellers here as they arrived in very poor condition. 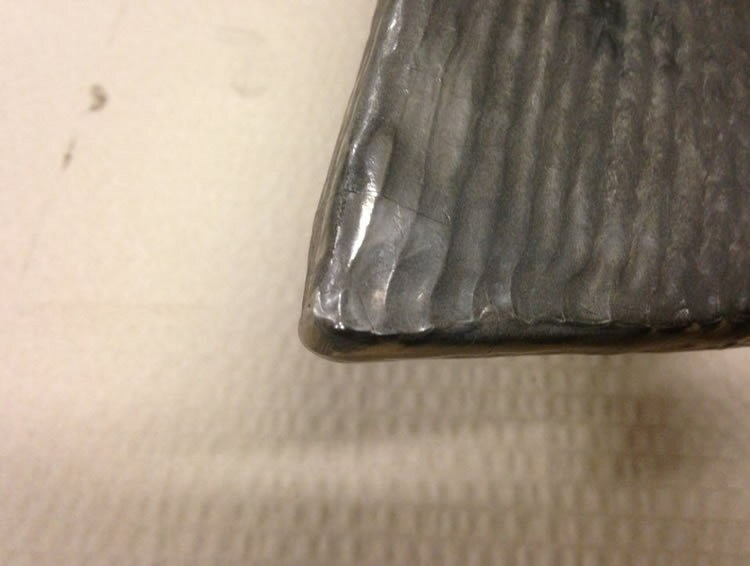 Following consultation and chemical analysis of the base material, a repair procedure was produced and presented to our customer who agreed the repair. 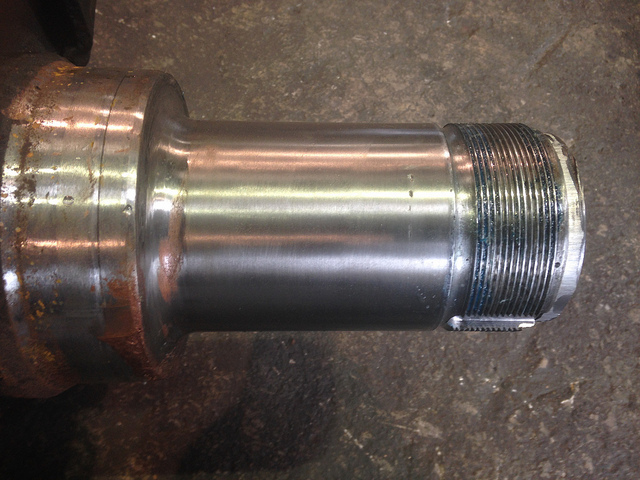 Intensive N.D.T and prep work followed and IRS continued with welding, dressing and proof machining of the components, painstakingly building back to original drawing dimensions. With the welding and rebuilding processes completed, further N.D.T was undertaken following which the ﬁnished ﬁnal coating was then applied and ﬁnish ground. 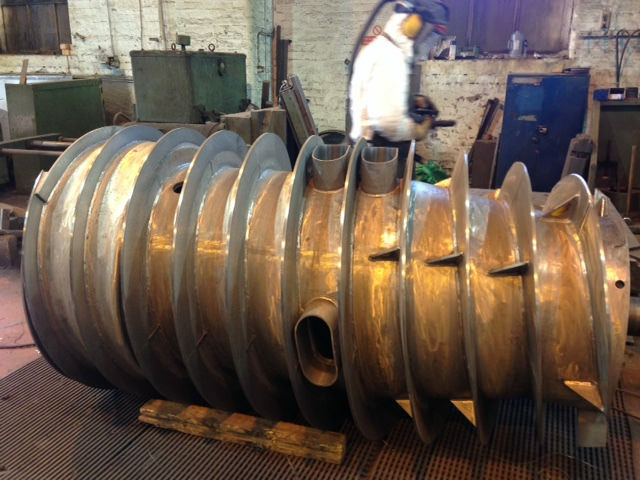 Customer requirements and speciﬁcations requested for impeller rebuilding differ as to their working operational environment. 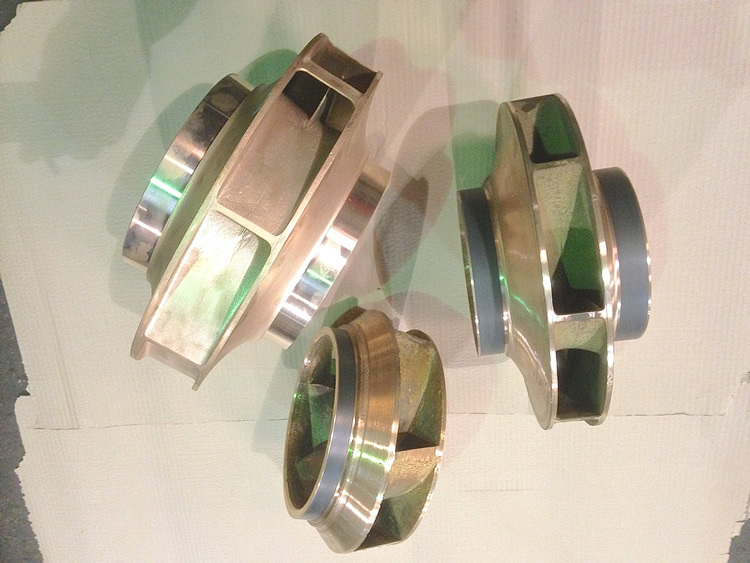 Chrome Oxide on an Aluminum Bronze substrate was the optimum chemistries applied to these particular components. 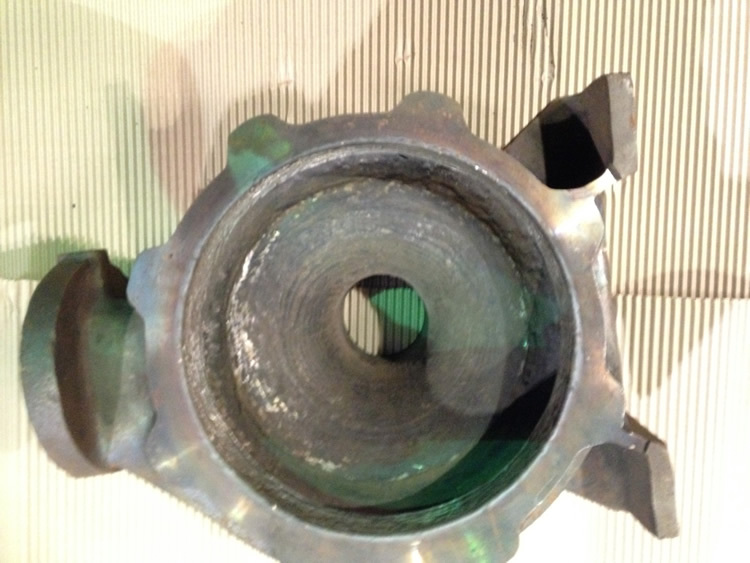 It is difﬁcult to comprehend that these are in fact same impellers pictured before repair! 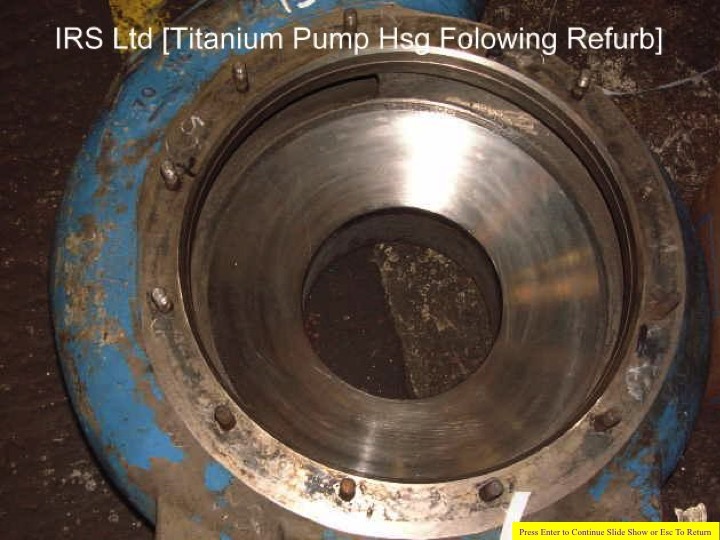 These particular titanium pump components sent in to IRS by a leading chemical manufacturer would normally by regular standards be past the point of repair, except that these components had been manufactured in pure titanium. The costs and availability of replacement components weighed heavily. IRS was asked to evaluate the situation and if possible, put forward a written rebuilding procedure with an estimate of time and costs. The weld procedure and scope of work submitted by IRS was accepted and the project authorised. 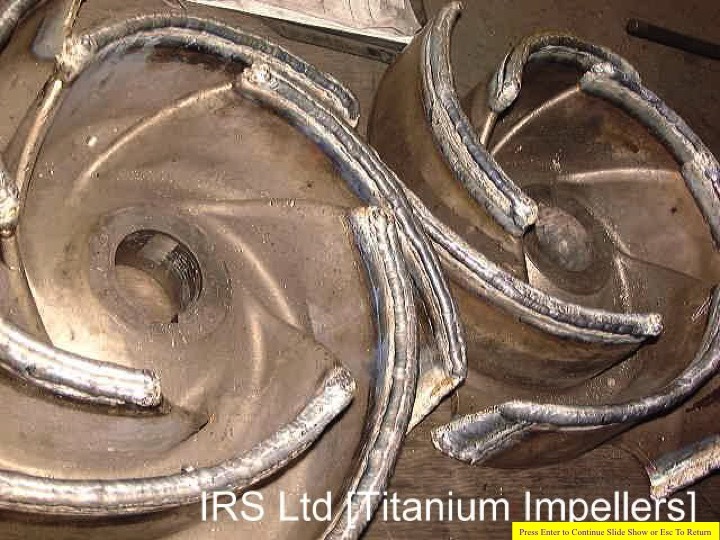 All of the impellers and volute casings were completely rebuilt and restored to original manufacture with pure Titanium, as were the shafts. Processing time was far shorter than attempting to source new components and the pumps were returned to service at a fraction of the lead-time and cost of replacement parts. 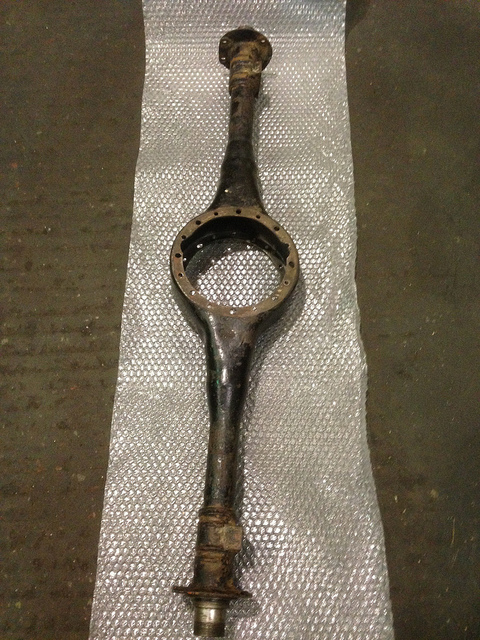 The clamping area for the split housings where damaged on this rear axle banjo on a Riley Mentone 1933. 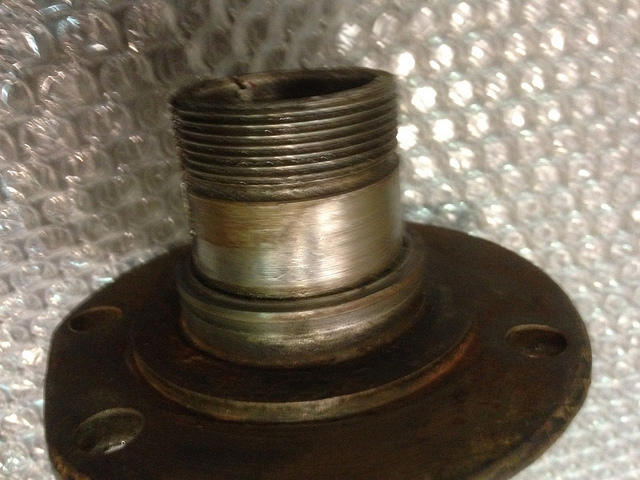 IRS re-machined the bushes and re-built the location area and set the distance from the ﬂange face, Job Done!!! 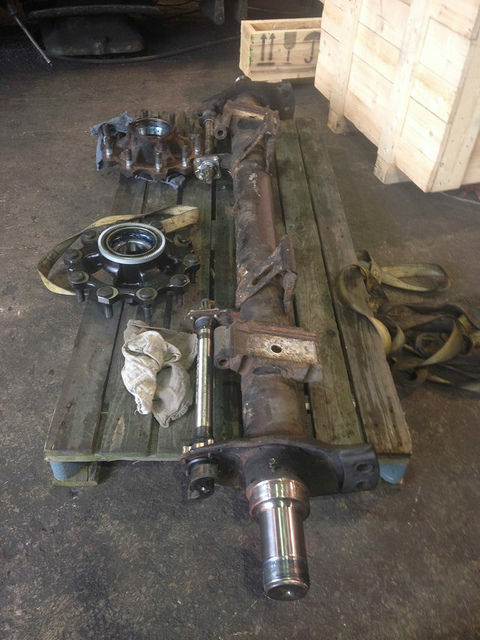 A proud owner of his 1935 MG roadster similar to this asked if we could repair the bearing and seal diameter’s on his drive axle, YES we can !!! 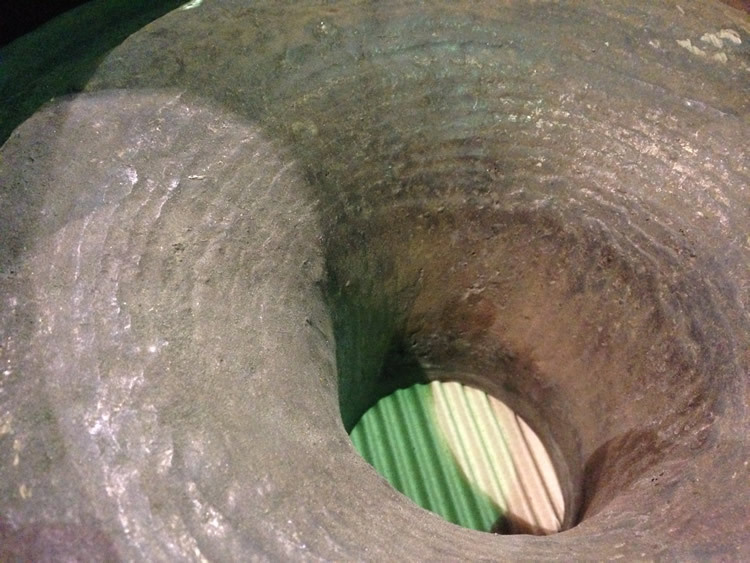 This major brake lining manufacturer suffered multiple production problems within the material mixing plant. 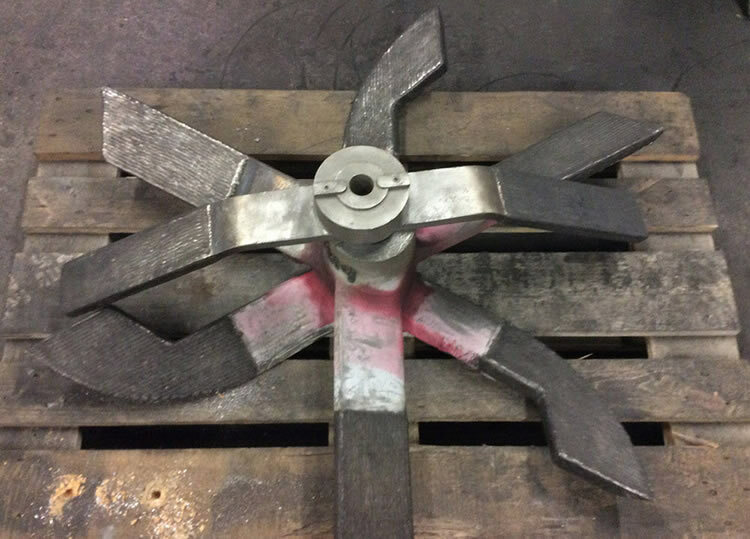 Rows of identical mixing impellers in service demonstrated differing wear patterns and degree of blade erosion and as such ever-changing geometry. 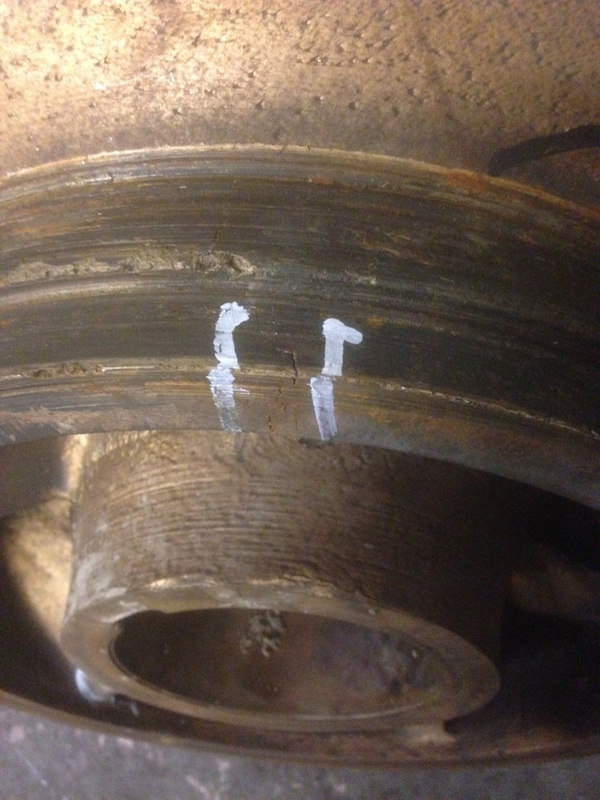 This serious problem resulted in inconsistencies in the brake lining composition leading further to the rejection of batches by their stringent in-house QA. Program. 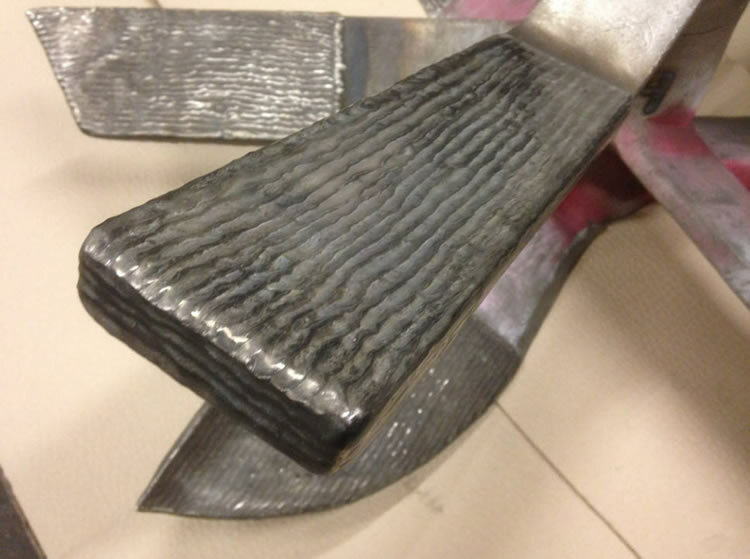 Existing hard facing overlay material previously applied to the impellers also had a history of detachment, which rendered random material batches unusable. IRS was approached to develop possible solutions to this very costly problem and immediately set about the task of designing solutions to both issues. Following extensive research, tests and trials, IRS was able to propose solutions to both the major issues. 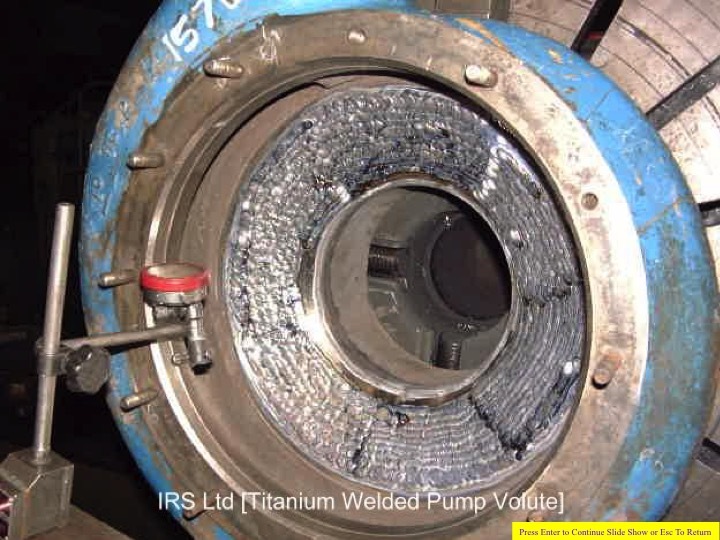 IRS proprietary chemistries were recommended affording signiﬁcant upgrades to the impeller leading edge wear resistance that incorporated suspended carbide particulates held ﬁrmly within a matrix with dissolved carbides in solution. 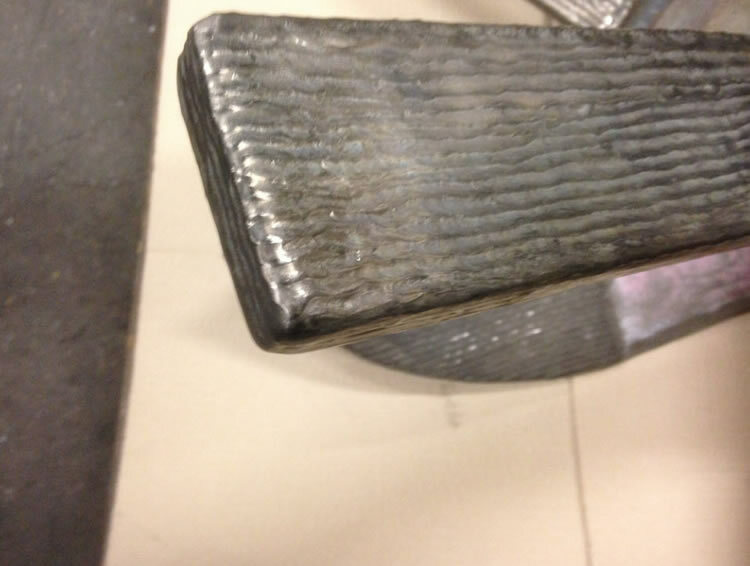 The top faces of the impellor blades indicating lesser aggressive wear affording IRS the option of recommending a chemistry that would demonstrate a predictable wear progression. 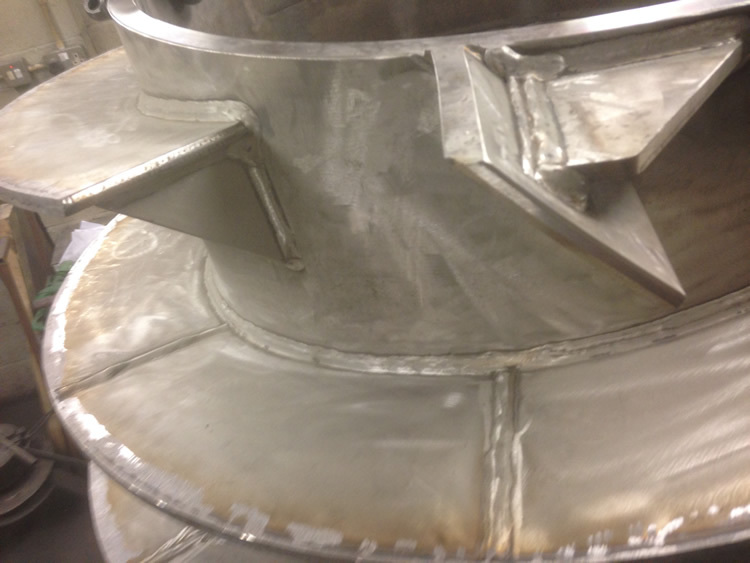 This initiative provided an indicator as refurbishment became due, but critically before the impellers lost dimensional tolerance. In situ trials were conducted which were wholly successful. 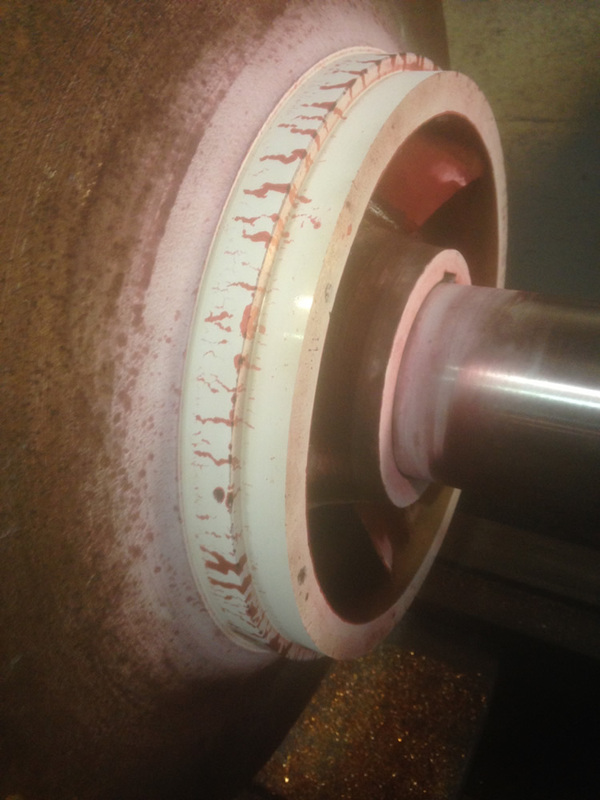 Result: wear life of the mixing impellers was increased by some 400%, batch inconsistencies became history and no further hard-facing detachment occurred. This remarkable research, development and implementation by IRS happened more than twenty years ago and it very much remains still the current refurbishing procedure. Over recent years IRS become an invaluable partner in the reverse engineering of parts for this industry and with our Safety Critical Status in place we provide a excellent support service to major companies in this ﬁeld with the repairs to the wide range of rotors and armatures seals, bearings, deﬂector diameters, end shields and various other rolling stock components. Not just have IRS been involved with the keeping of our railway network up and running but we have also been delighted to provide our services to various railway museums the latest being Preston Steam Railway who keep our history going.